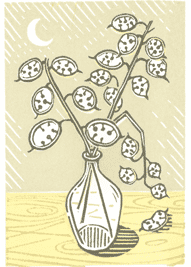 Featuring sixteen original poems by Kit Wright and lino-cuts by Julie Orpen, Talking to the Weeds is number 17 in our ‘New Garland’ Series. Hand printed and bound in East Anglia using traditional letterpress techniques. The ‘New Garland’ Series, No 17. UK and International delivery available.